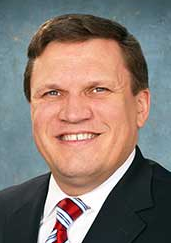 Current senator: The curren senator for the 37th District is Sen. Wayne Schmidt (R-Traverse City). The 37th District features Antrim, Charlevoix, Cheboygan, Chippewa, Emmet,Grand Traverse, Mackinac and Luce counties. Before his election to the Senate in 2014, Schmidt served from 2008 until 2014 in the Michigan House of Representatives. Schmidt is chairman of the Senate Appropriations Transportation Subcommittee and the Senate Appropriations K-12 and Department of Education Subcommittee. Sen. Wayne Schmidt raises money through a candidate committee, Wayne Schmidt for State Senate and a leadership PAC, Wayne Schmidt Leadership Fund. Schmidt has been linked to an administrative account, Northland Administrative, which hasn't disclosed its donors. In 2018, another administrative account, Northern Michigan First Fund, began paying for some of Schmidt's office-related expenses.